The Pelican Institute announced the release of comprehensive solutions to financial and funding woes regarding Louisiana’s roadways as part of its free-market policy platform, “A Jobs and Opportunity Agenda for Louisiana.” Louisiana’s roadway network is in poor shape, the Pelican Institute says in the paper, adding the state’s highways rank among the worst in the nation in terms of performance and cost effectiveness. A major issue holding Louisiana back from other states around the country relates to the financing of its roadways, with the state relying upon gas taxes for 90 percent of its funding. In the paper, the Pelican Institute offers methods of stretching gas tax revenues further, such as devolving more local roads to alleviate strain on the Louisiana Department of Transportation and Development (LaDOTD), paying staff salaries and benefits with general fund revenue to free up an additional $133 million in gas tax revenue and rightsizing the staffing of the LaDOTD to better reflect Louisiana’s roadway needs. In addition to gas tax efficiencies, the Pelican Institute’s primary recommendation for solving Louisiana’s road funding and financing concerns is the adoption of public-private partnerships. Public-private partnerships use funding sources, such as tolls, road user charges, gas taxes and sales taxes, financing methods and the private sector to deliver higher-quality infrastructure at a lower overall price. 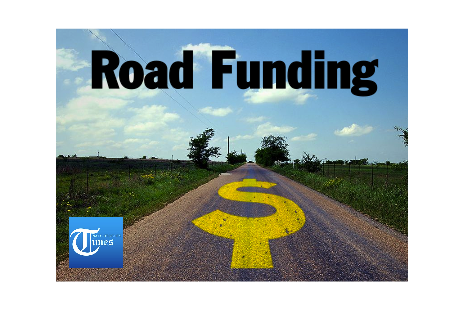 While many have historically regarded gas and sales taxes as user fee funding sources, the Pelican Institute says they are rarely equitable means of funding roadways and infrastructure. For this reason, the organization recommends employing a users-pay/users-benefit funding source like tolling. “One needs only to drive on Florida roads for a few minutes to realize how superior the Sunshine State’s highways are to our current system,” said Erspamer. “All Louisianans can agree that our roadways are in desperate need of improvements. By adopting public-private partnerships, we can shift the burden from working families to investors while delivering the transportation infrastructure we need sooner and with more room for innovation. A strong infrastructure and transportation system is vital to bringing truly quality jobs and opportunity back to Louisiana.” In the coming weeks, the Pelican Institute will conclude the release of its monthly policy solutions with papers highlighting reforms to Louisiana’s Medicaid system, as well as its legal and regulatory structures. The Pelican Institute is a nonpartisan research and educational organization – a think tank – and the leading voice for free markets in Louisiana. The Pelican Institute’s mission is to conduct research and analysis that advances sound policies based on free enterprise, individual liberty, and constitutionally-limited government.